It was a tough weekend in terms of results for our team. 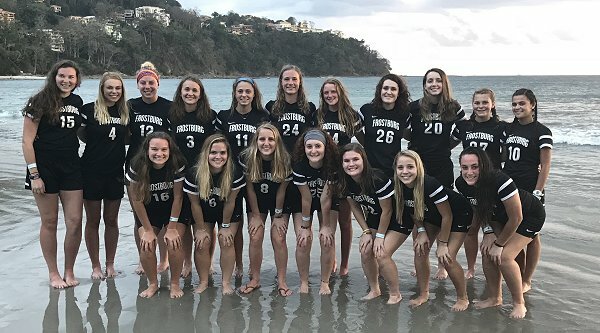 We allowed a team to beat us that only earned 1 shot on goal and then played a tough New Jersey team in Montclair State that's going to win lots of games this year for sure. Although, we are disappointed with the scoreboard, we're learning more about our team and getting better every day. We also realize there are lots of ingredients in a team and our shared experiences on and off the field will help make us the best 'team' we can be. 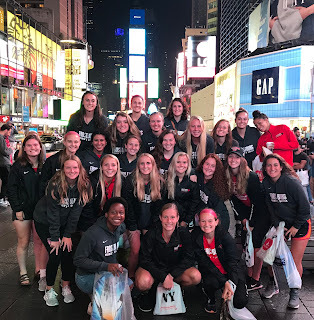 Spending some team time in New York City for dinner, shopping, and pictures is always a bonus traveling in that region. Home games this week and next in Bobcat Stadium!